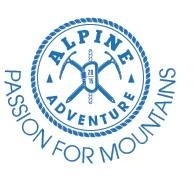 Average rating of 5.0 for all Alpine Adventure Romania trips. Experience nature in Capra Lake and in Balea glacier lake. Visit the orthodox monastery, which is one of the cultural and historical hallmarks of Romania. Hiking the spectacular Canyon Valea lui Stan, with its huge walls and lots of waterfalls. Its climb is secured with metal cables and ladders which makes it all the more interesting. Climbing the rocky second highest peak of Romania, Negoiu (2535m) while following a beautiful ridgeline section. Climbing the highest point of Piatra Craiului (2238m), and being of one of the most beautiful ridgeline anywhere in the world accessible to ordinary hikers. Hiking in Bucegi under the big walls of Bucsoiu and through the Malaiesti big chimney up to one of the highest peaks of Romania (Omu – 2507m). Discovering Transylvania by visiting two of her most beautiful saxon cities: Sibiu (an European Capital of Culture in 2007) and Sighisoara (with its medieval citadel still inhabited). Experiencing rural Romania both by visiting the open air museum of village from Sibiu and by hiking through the gorgeous landscape and old houses of Magura and Pestera villages. Driving on “the most beautiful road in the world”, Transfagarasan, as it was called a couple years ago by the Top Gear TV series. Standing on the most spectacular and highest dam in Romania, built on the river Arges.